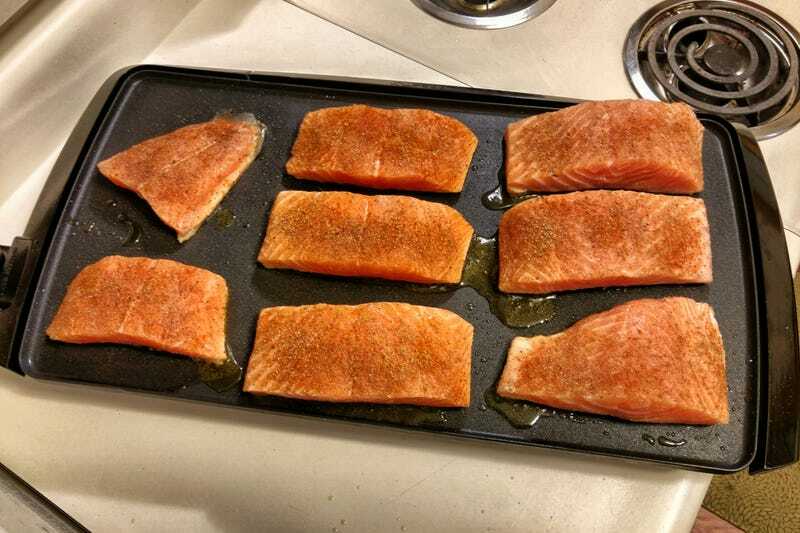 He was probably right, because I’m cooking that slab of salmon on my Presto griddle that doesn’t quite fit on my counter, at 10:30 at night. Yeah, he was right. 2. Nice even heat gets you beautiful crispy skin without a ton of oil.